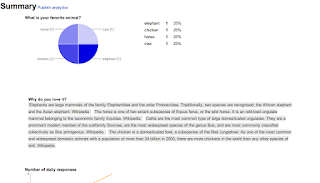 Teaching like it's 2999: Google Forms Takes a New Shape! 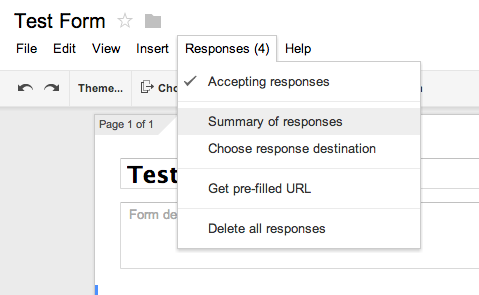 Perhaps you've noticed - Google Forms has been updated! There are some interesting new features, although - to the dismay of many - they still haven't made it possible to embed media into your form. Hopefully the next update? 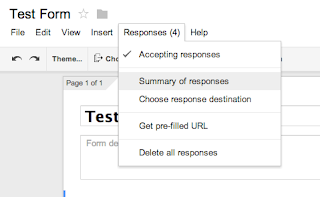 Copy and Paste bulleted list directly into form: You can now take a bulleted list from a document or a column of spreadsheet cells and paste it directly into a form for the following answer choices: Multiple Choice, Checkboxes or Choose from a List. 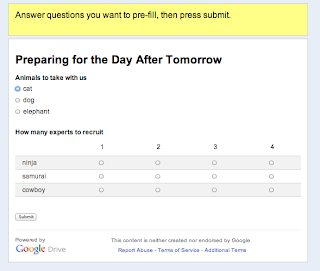 Pre-filled form URL: You can create a form and have pre-populated responses for your participants. This is super helpful if some of the answers will be the same for most of your respondants. 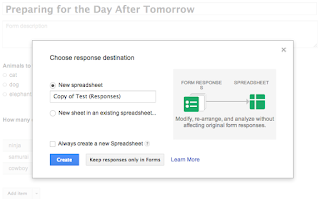 Choose response destination: Google Spreadsheets only holds the first 400,000 cells. Therefore, for an organization sending out a form that will accrue quite a lot of data, you might want to have the responses saved directly into forms. What this does is prevents the form from creating a spreadsheet. Instead, you download a CSV (Comma Separated Values spreadsheet) file and will get the responses that way. 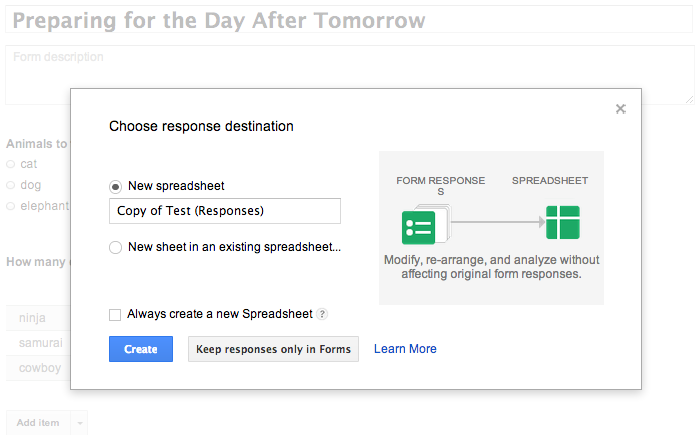 Otherwise, you can still send responses to a Google Spreadsheet. 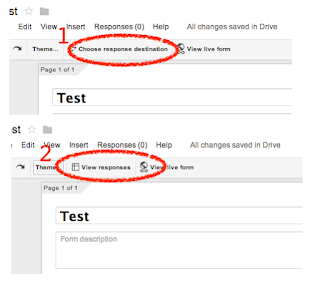 Moreover, you can now send responses to another tab in an already created spreadsheet, consolidating your different Google Drive files! Hooray! Click here for more on form destination. 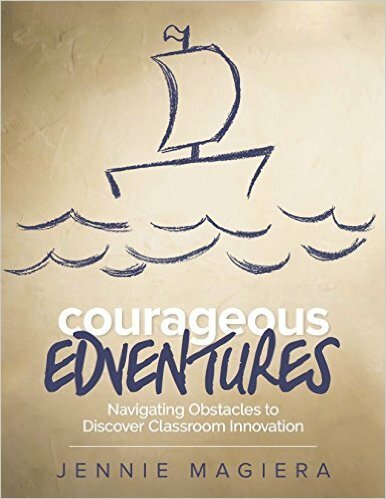 Editable responses: Remember how frustrating it was when you hit submit on a form and then realized you made a mistake - or your students were using a form as an assessment and needed to go to lunch - but come back to finish another time? Now you can go back and edit responses. 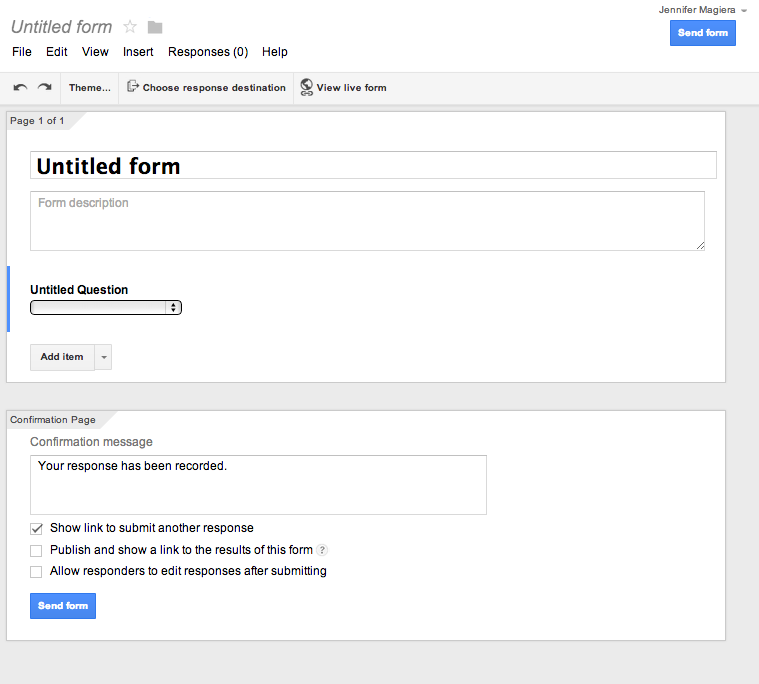 When saving your form, you have the option to make responses editable! Make a Copy / Delete all responses: In the past, if you wanted to make a copy of the form, you had to copy the spreadsheet. Now you can copy the form itself. 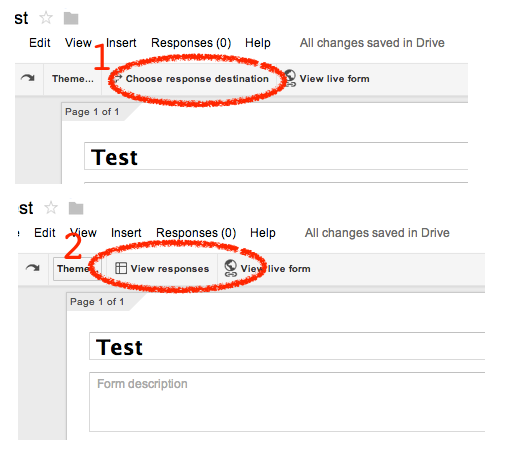 Moreover, you can delete all responses from that form easily using a menu option - rather than clearing the spreadsheet. Keyboard Shortcuts: I am a personal huge fan of keyboard shortcuts. From online gaming to Gmail, keyboard shortcut make my life more efficient and I truly believe I'm saving time. 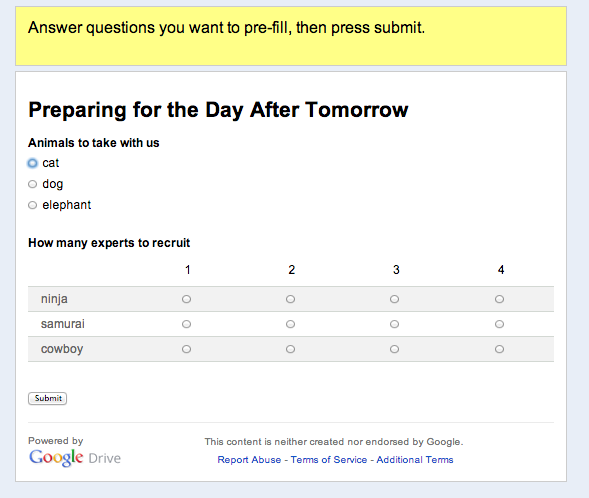 Now Google Forms has keyboard shortcuts as well! For those who are new to keyboard shortcuts, try out this awesome Chrome extension to get you used to using them in Gmail... think of it like training wheels for keyboard shortcuts. Also for fellow Starcraft nerds who want to see keyboard shortcuts at their finest, check out this video. How you get to the spreadsheet view: You used to be able to view responses by clicking "view spreadsheet". Now you first need to set where responses will be generated (since, as explained above, there are now choices). Then you will see an option to view the spreadsheet. Confirmation message editor: The confirmation editor is now in the bottom of the screen, when you're editing your form. It's a lot easier to find and edit! Great! Fewer Themes: Google says they are releasing more features soon... hopefully the full list of themes will be part of this update! Summary of Responses no longer truncated: Thanks to Kevin Brookhouser for pointing out this next update! Summary of Responses - the graphical way to view form submissions - no longer truncates paragraph or textual submissions. In the past, it would only show a snippet of these entries. Now they show the entire submission! Getting the new Forms: If you are using your school account, you may not see the new forms yet. 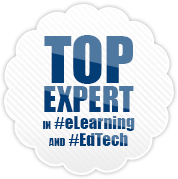 In that case, have your GAFE administrator go to their Dashboard, then to "Domain Settings". From there they should click on "General" and then "New User Features". 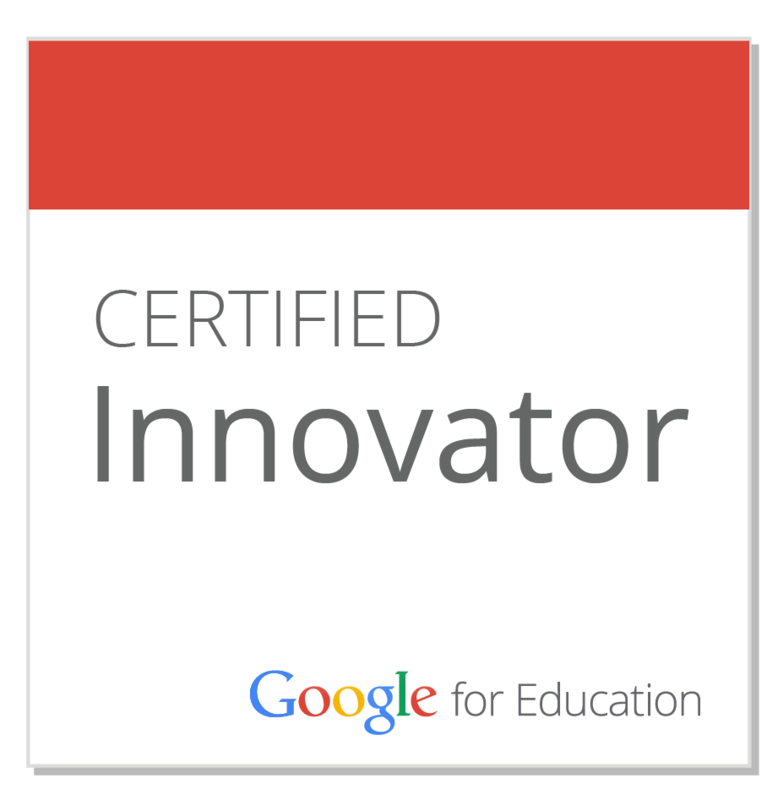 If they select "Rapid Release" all the users in your GAFE domain should get these new releases right away! 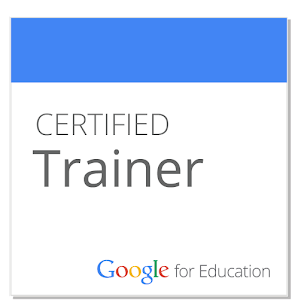 For more info, check out the Google Drive Blog as well as Google Drive's Google+ page (see posts starting on January 30, 2013 for daily updates, tips and tricks on the new Forms). 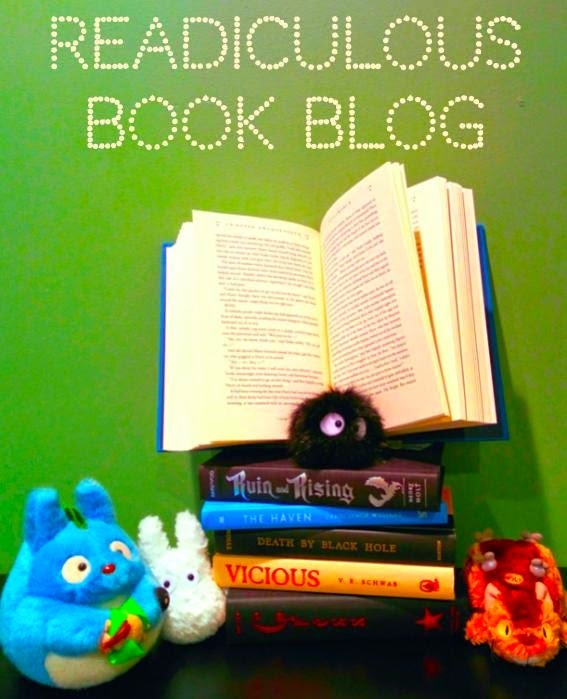 Also check out this great blog post! This was very helpful! Thanks!